Dora A. 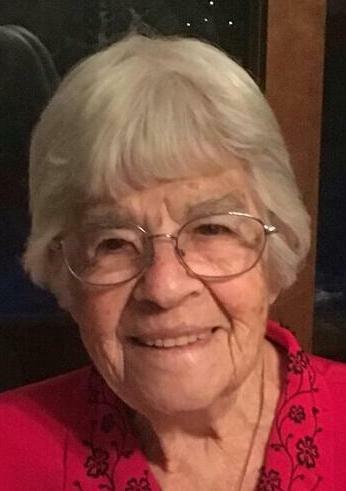 (Trudel) Carpentier, 92, of Wilton, NH formerly of Pelham, NH, died peacefully on Sunday, April 7th at the Community Hospice House in Merrimack. She was the beloved wife for 64 years of the late Norman H. “Carpy” Carpentier who died November 22, 2012. Among her many interests, she enjoyed crafting, arts, quilting, music and dancing. She also loved traveling with her husband throughout the United States including Alaska. A dedicated mother, her first and foremost treasure was her children and every moment she spent with them. She especially loved her role as grandma and great-grandma. Dora is survived by five daughters Cheryl Brunelle and her husband Norman of Pelham, NH, Lynn Moran and her husband Timothy of Derry, NH, Linda Bakaian of Wilton, NH, Laurel Stark and her husband Michael of Stafford Springs, CT and Doreen Martell and her husband Wayne of Hudson, NH; a son Norman H. Carpentier II and his fiancée Janelle Huber of Hampton, NH; 15 grandchildren; 21 great grandchildren; a brother Robert Trudel and his wife Elaine of Windham, NH; two sisters-in-law Geraldine Trudel and Ellen Carpentier; and many nieces and nephews. She was also grandmother of the late Kristofer Stark, mother-in-law of the late Bruce Bakaian and sister of the late Alfred Trudel, Edmond Trudel, Paul Trudel and Rita Ouellette. CARPENTIER – Friends may call at the PELHAM FUNERAL HOME 11 NASHUA RD. in PELHAM from 4 to 8 P.M. Thursday. Relatives and friends are invited to attend her Funeral Mass to be celebrated Friday morning at ST. PATRICK CHURCH in PELHAM NH at 10 o’clock. Committal Services will be private. E-condolences/directions at www.pelhamfuneralhome.com. Those wishing may make contributions in her memory to the Community Hospice House c/o Home Health & Hospice Care 7 Executive Park Drive Merrimack, NH 03054 or Pelham Food Pantry at St Patrick Parish 12 Main St. Pelham, NH 03076 or the American Diabetes Foundation, 2451 Crystal Drive, Suite 900, Arlington, VA 22202. Arrangements by Funeral Director James F. O’Donnell, Jr. (603) 635-3333.